The long and agonizing wait may be over soon for several police Cadet Officers who were languishing in that position for the past five years. They can now breathe a sigh of relief as the Police Service Commission is moving to promote them to the rank of Assistant Superintendent of Police. This assurance was given by chairman of the Police Service Commission Omesh Satyanand. Speaking with this newspaper last week, Satyanand said that the situation with the Cadet Officers would be rectified in this year’s promotion list. 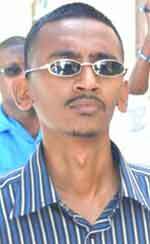 In 2008, then President Bharat Jagdeo challenged the Guyana Police Force to appoint 50 Cadet Officers over three years in a move that was intended to strengthen the officer corps of the organization. However, to this day some of those same Cadets, even from the first batch are still waiting to be confirmed in the gazetted position of Assistant Superintendents. The contention is that some cadet officers have been promoted, some of them superseding others who were there before by as much as three years. But this situation is about to be rectified according to the PSC Chairman. Satyanand recalled that last year 22 Cadet Officers were promoted to the rank of Assistant Superintendents. Those who missed the cut cried foul, since they were gazetted years before. However, the PSC Chairman said that it was not a case of supersession but rather pending disciplinary matters. Currently, 19 Cadet Officers remain to be promoted. Of that number, four have pending disciplinary matters and two who are interdicted from the Force and are not eligible for promotion. The Cadet Officers are a rank almost on par with inspectors and they are jostling each other for promotion to the post of Assistant Superintendent, a decision which is not easily arrived at. “As the need arise for more ASPs, the responsibility rests with the Commissioner of Police to make those recommendations. Do we recommend inspectors to become ASPs or do we take the Cadet Officers in the system,” Satyanand stated. The initial reason given for this apparent administrative hiccup is the lack of vacancies in the Assistant Superintendent bracket. Under what is being touted as the ‘Jagdeo Cadet Scheme’, the first batch of 15 police Cadet Officers graduated from the Basic Cadet Officer Training Programme in 2009. This group was followed by larger groups of Police Cadet Officers in the following years up to the last batch of two in 2011. 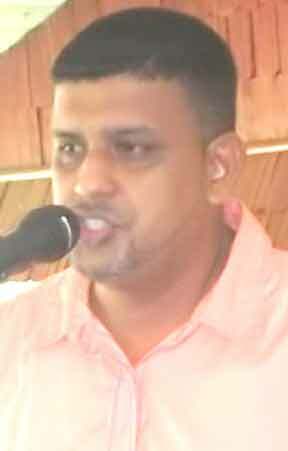 There were four batches in all that satisfied Jagdeo’s mandate for the Force. But according to a police administrative expert, there was no provision to accommodate the Cadet Officers into the gazetted police ranks. It was explained that the system could only accommodate a certain number of Assistant Superintendents and there is a preference for experienced Inspectors and Chief Inspectors to fill positions that become available from time to time. This newspaper was reliably informed that after two years as a Cadet Officer, once there is no blemish in their files, the officers are eligible for promotion to Assistant Superintendents. IN 2001 a group of ranks had written to the Force’s administration expressing concern that such a large Cadet scheme could jeopardise the upward mobility of the ranks below, especially Inspectors and Sergeants. The contention is that with so many junior gazetted officers, there will be very little space for ranks just below to be promoted. For instance, in 2011 the Force promoted only nine Inspectors to the rank of Assistant Superintendents. But this is small when compared to a significant number of Sergeants who were promoted to the rank of Inspectors- 24 to be precise and 40 Corporals to Sergeants. One Officer agreed that there should be some mechanism to ensure that the learned Inspectors and Sergeants of police are not stifled. It was pointed out that most of the Cadet Officers were fast tracked into the officer corps with less than two years police experience; some had even less. “Some of them were taken directly from the training school. Because of the lack of experience of some of them, the Force had to design a special course in the Training School to teach them policing after they would have completed the Standard Officers Course,” the expert stated. Thankfully the police have reached the target for the Cadet Scheme; so for the past five years there have been no Police Cadets on the Standard Officers Course.